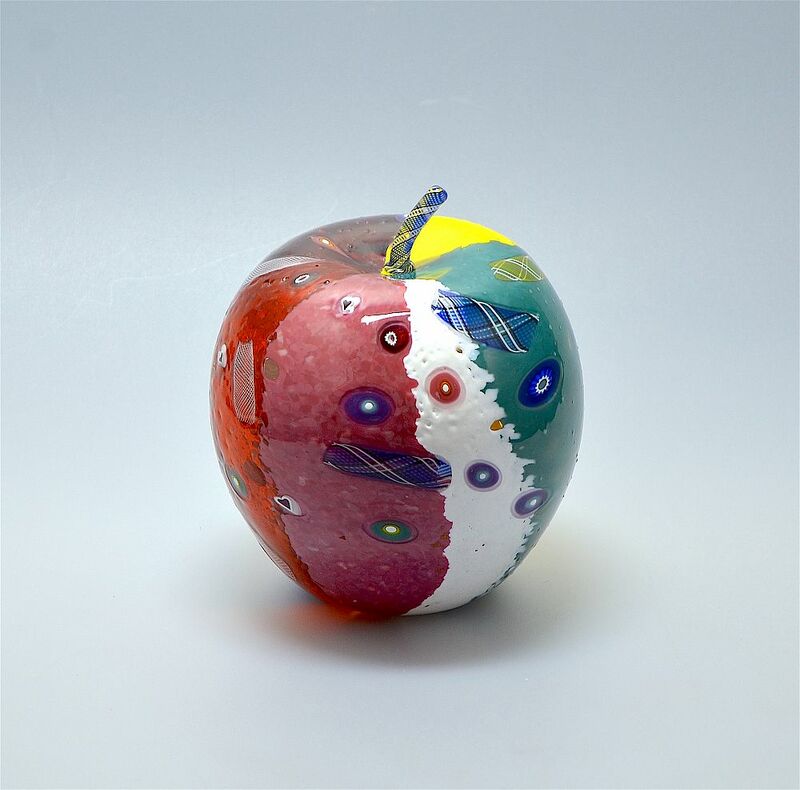 This fabulous hollow blown apple was made by Michael Hunter for Twists Glass in 2016. Known as "Rio" it has a multi coloured overlay randomly set with zanfirico and murrine canes of various colour combinations. The stem is a blue white & black zanfirico cane. It is scratch signed "M Hunter Twists 16" and has the Twists Glass studio label. 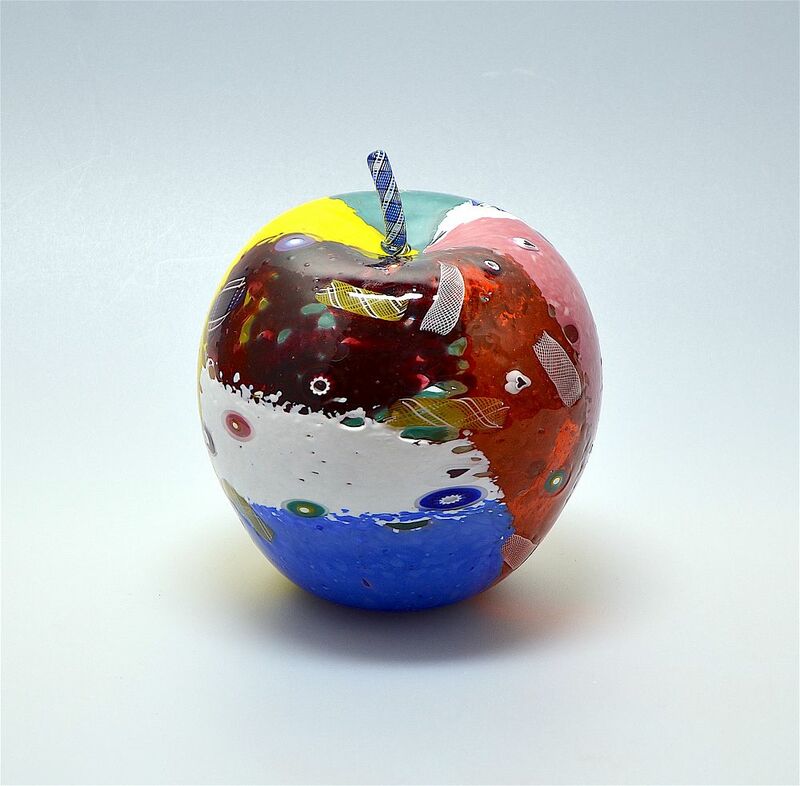 This is the first "Rio" apple that Mike has made so get it whilst you can!